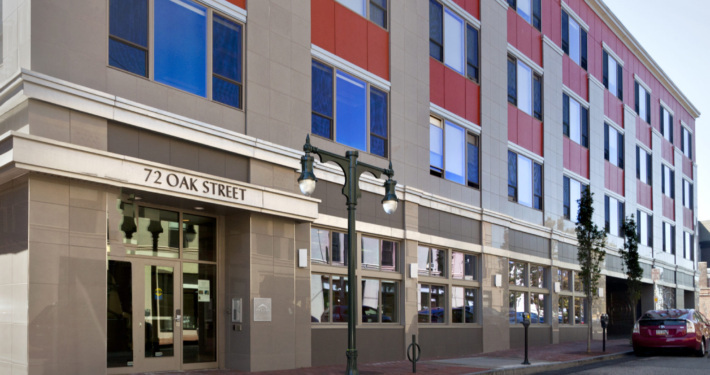 Oak Street Lofts is the first affordable, multifamily building in Maine to achieve LEED Platinum certification under the LEED for Homes Rating System. 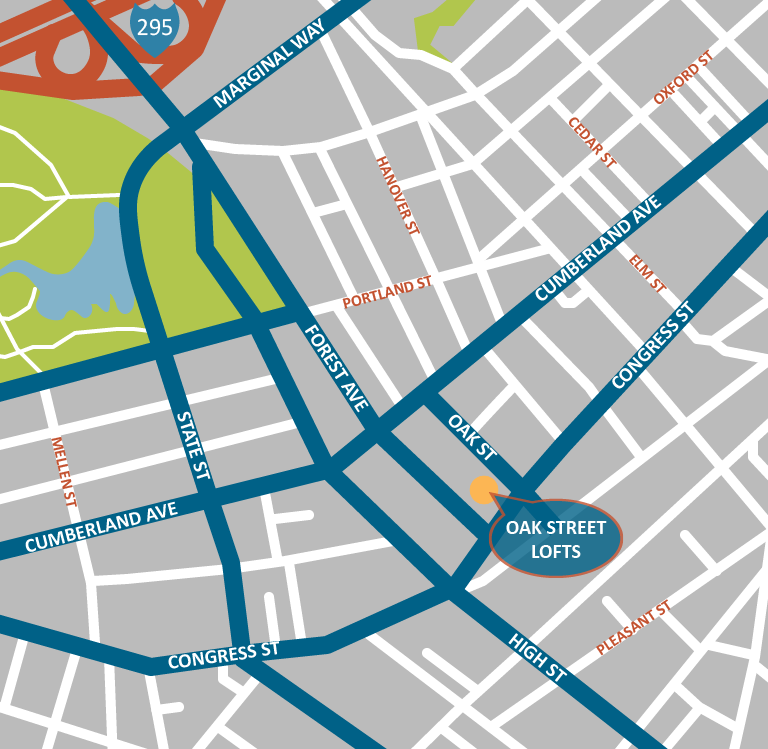 The four-story, 37-unit building is located in the heart of Portland’s Art District within walking distance to many basic amenities and transit lines. The project stands out as it incorporates many design innovations illustrating that even affordable housing projects with limited capital budgets can achieve high rates of energy efficiency and enhanced occupant comfort. The building achieved a preliminary energy savings of 35% better than ASHRAE requirements with a 40.94% energy cost savings. 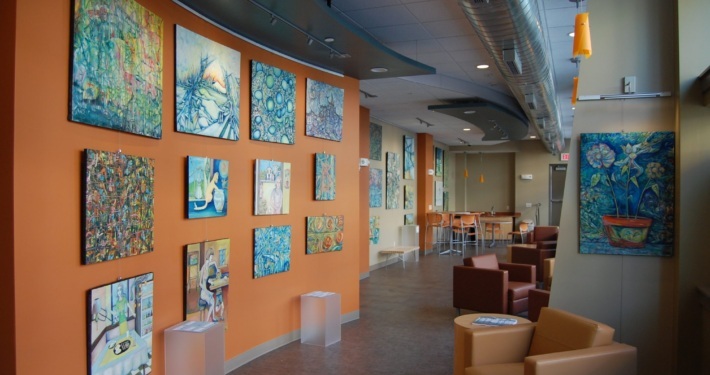 The development is particularly noteworthy in that it was designed specifically with local artists in mind. There are many local artists in Portland but a lack of housing affordable enough for them. 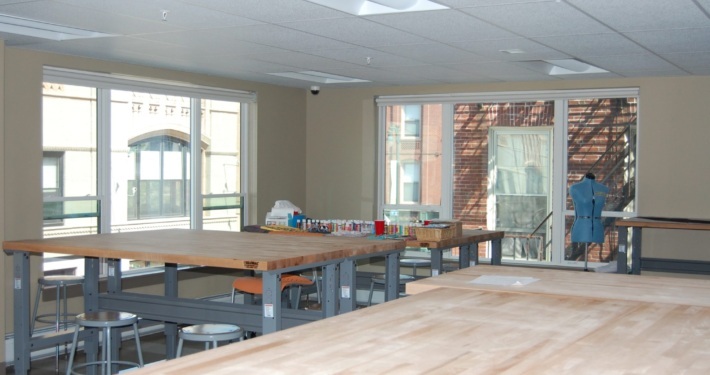 Oak Street Lofts provides local artists with affordable rental apartments and project work space; all under one roof. Studio space was incorporated into the design of the building to provide occupants with easily accessible and free spaces in which to create. This project is vitally important in helping to maintain the vibrant culture of the City of Portland.